A woman in her 60s has narrated to Gh One Tv’s Berla Mundi on The Late Afternoon Show how she went blind from bleaching her skin. 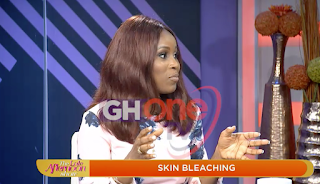 The woman revealed she was buying every bleaching cream on the market in her early 20s in order to look fairer and more beautiful. Unfortunately for her, the hydroquinone in the cream came into contact with her eyes, affecting her so badly that she went blind. It took a surgery at the Korle- Bu Teaching Hospital at a cost of GHC8,000 to get her sight back. After her surgery, she was advised by the doctor to stay away from the products in order to prevent another episode as that was going to render her blind for life. 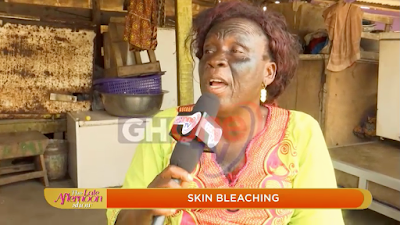 Unfortunately for her, blindness was not the only effect skin bleaching had on her as she was left with a brutally burnt and scaly skin from the use of different products that came in from Abidjan and hence is advising all young women to desist from bleaching their skin as it can cause permanent damage. Speaking of effects from bleaching, it has been revealed that the practice could lead to more adverse effects like Hypertension, Diabetes, Mental Illness, Kidney Diseases, and more. 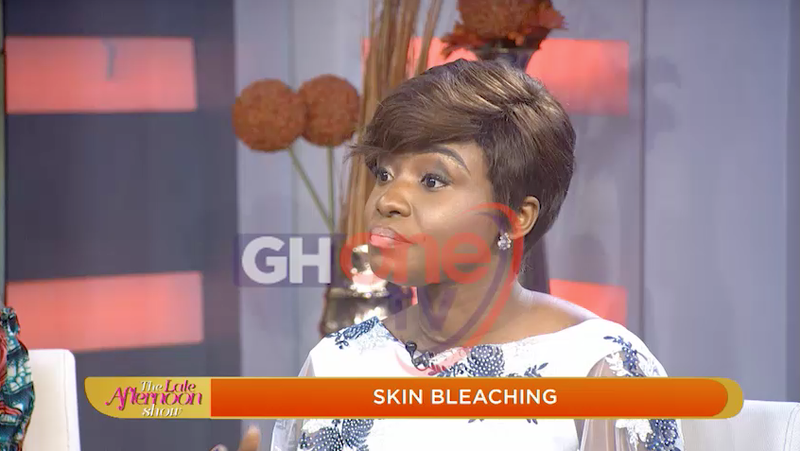 Dr. Hannah-Lisa Tetteh explained further how the chemicals in the bleaching products including steroids, hydroquinone, etc are absorbed into the body causing harm to the organs. The Late Afternoon Show hosted by Berla Mundi ushers in a new era of talk show which delves into social issues, real life stories and lifestyle from the point of the young, fun and vibrant adult. With a mixed bag of everything that is discussed among the new generation, the show tends to identify with the emotions of people whiles seeking to answer often asked questions on health, wealth, fashion, cuisine, entertainment and more. Each episode tackles a specific theme and topic with experts, personalities or celebrities coming in to share peculiar and outstanding stories about themselves and others in order to inspire, advice and inform viewers. The idea is to have a show that borders on all aspects of life to cater for various age brackets depending on their mood and interest. The Late Afternoon Show runs every Monday and Friday at 4pm on GHOne TV and DSTV CH 361.